Things aren’t always as they seem. Thanks to the speed at which the internet can circulate information and the editing tools that are easily available to anyone, it is incredibly simple to take information and events out of context. As it turns out, it doesn’t take much more than telling the story from a different angle before you can completely warp what should have been indisputable facts into a whole different chain of events. The result? Reputations can be irreparably damaged, and lives can be threatened to the point where the need to hide one’s identity to keep oneself and one’s family safe is necessary. It all started with a video that went viral. 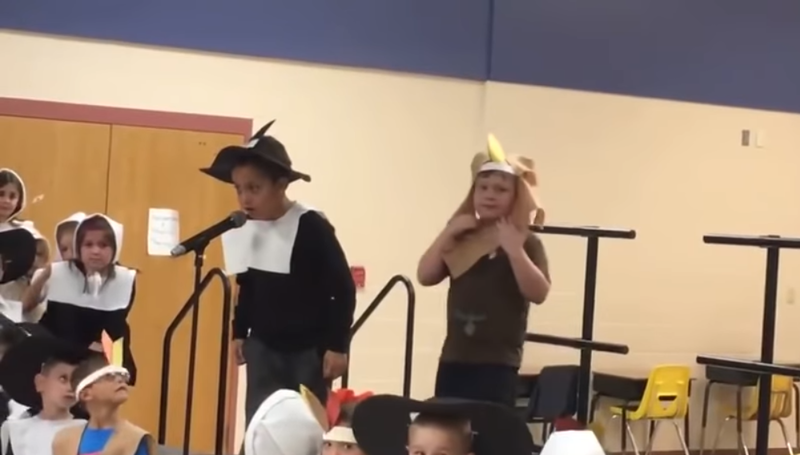 In Harrison County, West Virginia, a Thanksgiving play was being performed in Nutter Fort Primary School. 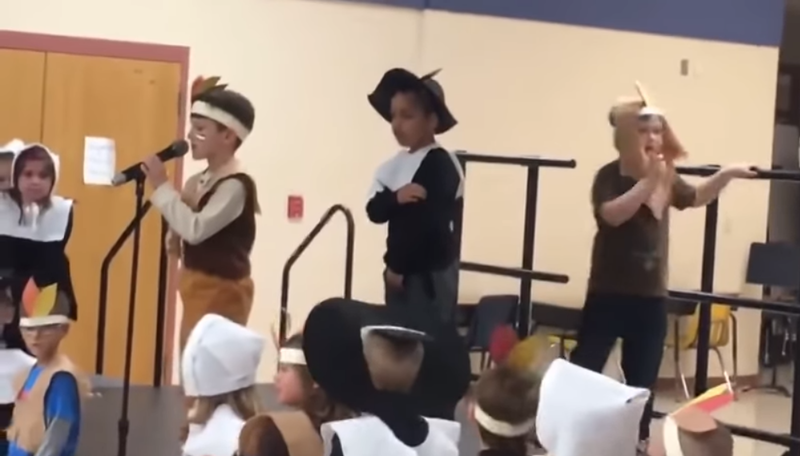 This isn’t anything unusual in and of itself – at the same time this play was being performed, dozens – if not hundreds – more like it are unfolding across elementary schools all over the country. What stood out, instead, was a brief moment that, although in and of itself wasn’t handled as well as it could have been, was still taken out of context. 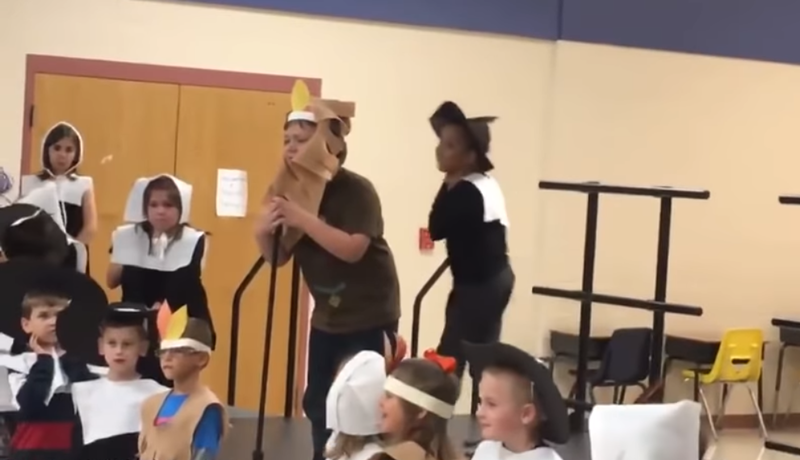 Caleb Riddle was a 6-year-old boy who was excited for his part in his school’s play. His mother, Amanda Riddle, took a video of the event – as you would expect any mother to do. In the 30-second clip that was posted on Facebook by her husband, Kent Riddle, it showed how Caleb was attempting to end the play with a few brief words, including the phrase “Gobble gobble”. Before the boy could do so, however, his teacher – who has since been identified as a “Mrs. Lindsey” – took the microphone away from him. Dr Mark Manchin, the superintendent for Harrison County Schools, would later explain that this was an action that was conducted with no intentional malice. The program had ended, and Caleb was not actually supposed to have any further lines. As a result, the teacher simply wanted to take the mic away, although it admittedly may have not been performed in the best manner. Regardless of the innocence of her intentions, however, the damage had already been done. The video went viral, and all netizens had to go on was a brief clip of a schoolteacher snatching away the mic from a little boy and his mother’s word. It was easy to assume the worst of the teacher, and soon comments were pouring in, with a massive number of people supporting the idea of having the educator removed from her teaching position. Some even went as far as to throw around death threats. The outcry was big enough that the relevant authorities got themselves involved with the situation. It was only later that evidence that presented another angle to the story began to show. 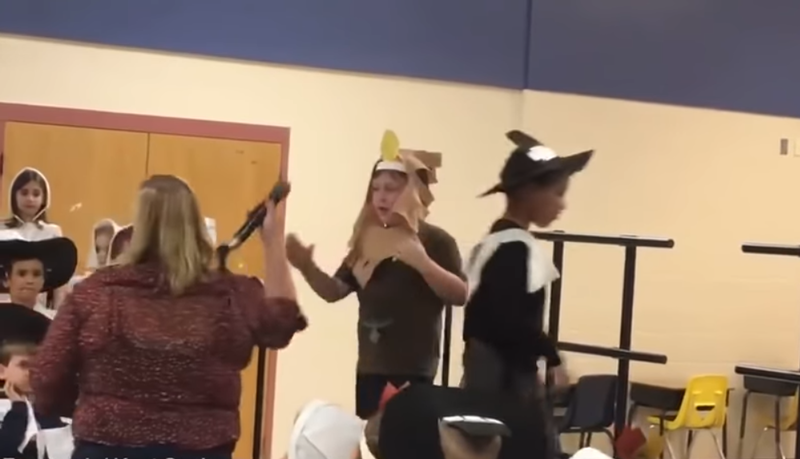 Parents from the play came forth with pictures of the program, proving that Caleb (and his role as a Turkey) wasn’t part of the original play. Other information regarding the behind-the-scenes event that led up to the play came to light as well, casting Amanda’s claims into something that likely should not be taken at face value. Hopefully, everything will be resolved soon.